Several years ago, I decided to try my hand at canning. 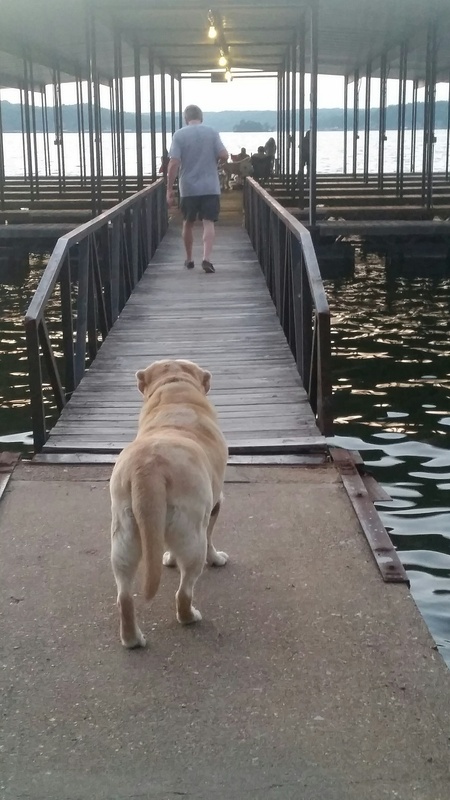 It’s something I remember my mother doing when I was very small, but it wasn’t something she did later in her life. 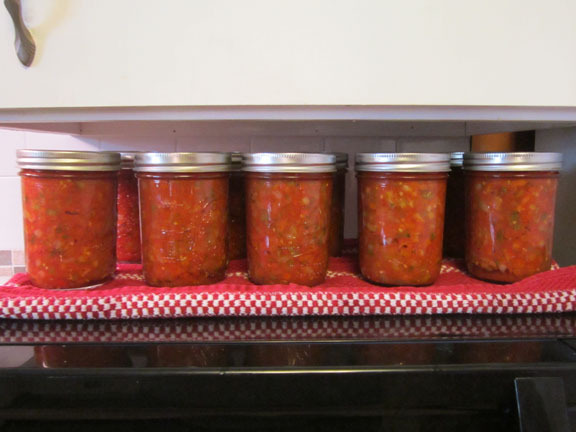 I’ve been planting tomatoes and peppers for years so I decided it was time to do something with my harvest; I decided to try hot water bath canning. 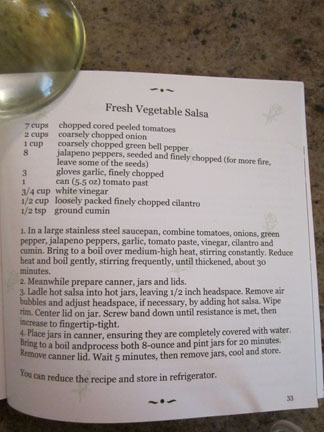 I really didn’t have a clue how to start, so I got a Ball Canning book from the library, bought my canning pot and I was off!. The first year I chopped everything by hand and it took hours. A friend of mine let me in on her canning secret, the Vidalia Chop Wizard. I promptly went to Bed, Bath & Beyond and bought one and it changed my canning life! Now with this handy-dandy tool, I can chop all the vegetables for my salsa in under an hour. 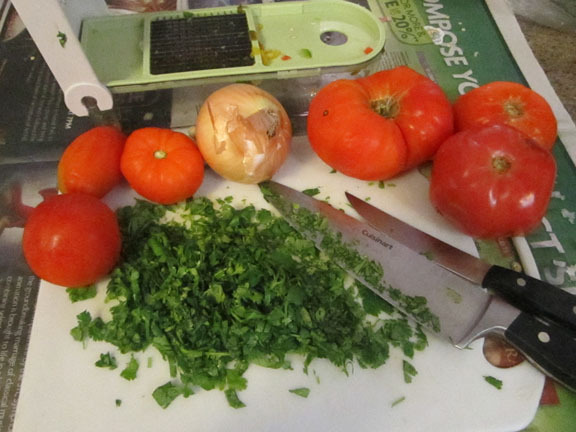 The only vegetable I had to chop by hand was the cilantro. Some other handy tools are the garlic press, the large mouth funnel and the jar lifter. 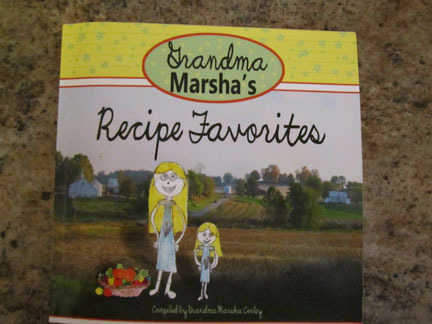 I made this small cookbook for my nieces and nephews last year for Christmas. 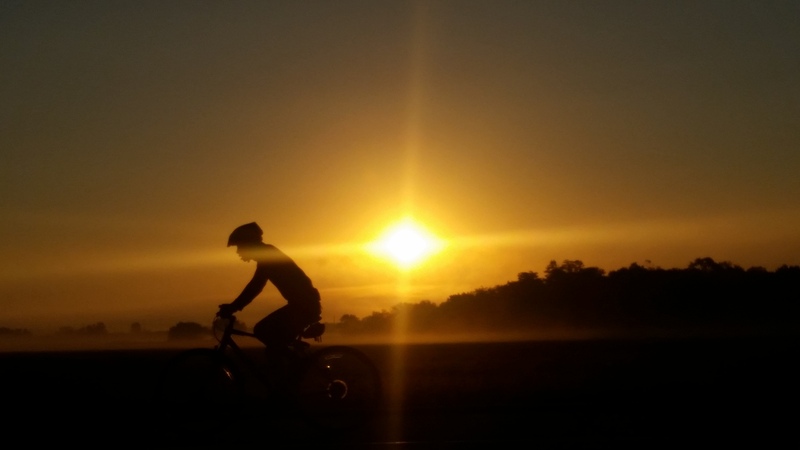 The cover artwork is a combination of my photography and my granddaughter, Megan’s artwork. My Vegetable Salsa recipe is included in this book. This recipe usually only makes about six pints and I wanted to make a larger batch. I didn’t quite double the batch because I ended up with only ten pints. The first step in the canning process is preparing the jars. The jars need to be washed and rinsed and placed into a large pot, submersed in the water and then heated to boiling. After the water begins to boil, lower the heat and continue boiling the jars for 30 minutes. After that time, you just need to make sure the water stays hot so that when the hot salsa is ladled into the jars they don’t break. While the jars are on the stove, it’s time to start chopping. 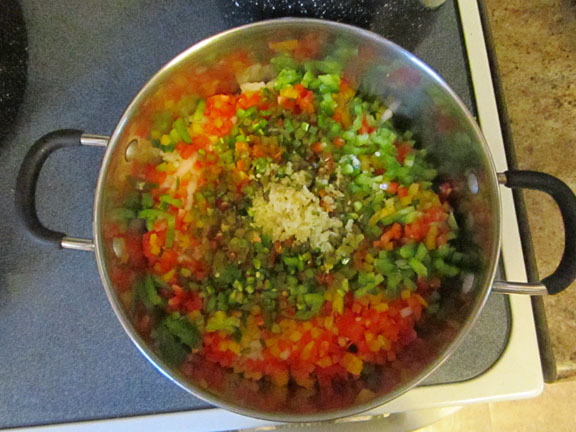 I started with my red, yellow and green peppers, garlic and the onions. Into the pot they went. 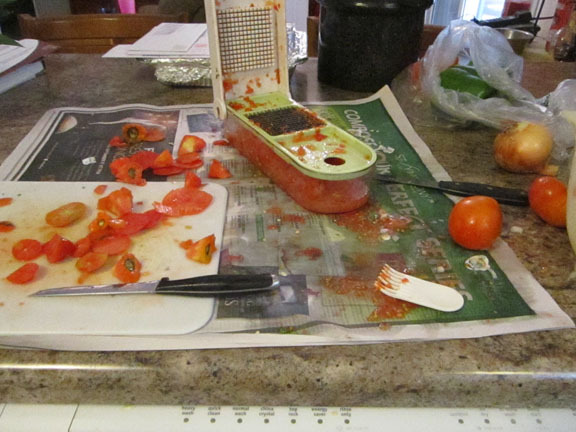 The messiest part is chopping the tomatoes. 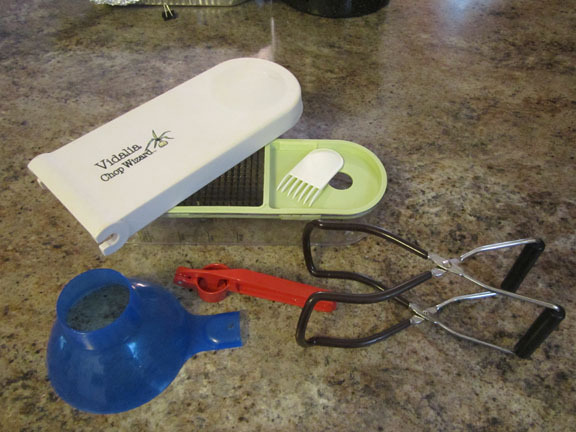 The Vidalia Onion Chopper works fantastically on more solid vegetables, but on the softer tomatoes, although it does work well, it tends to make quite a mess. I decided to be proactive this year and placed newspaper beneath the cutting board and chopper and it absorbed all the liquid and make for an easy clean-up. Because the meat of the tomato is so soft, sometimes the skin of the tomato gets stuck in the grate. 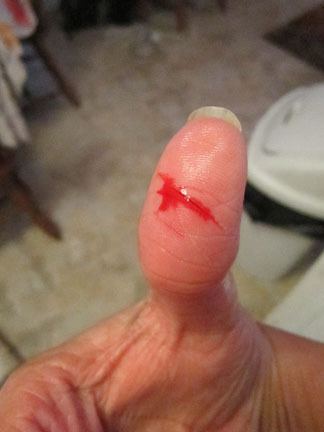 Without thinking, I decided to rake my thumb across the grate trying to remove the stuck tomato skin, not thinking that something that could chop onions could also shred my thumb. Did you know that acidic tomato juice in a cut kinda hurts? Just some cleaning and a band-aid and I was ready to continue. 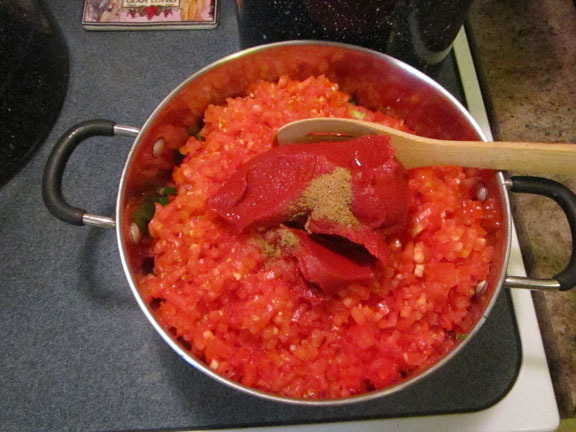 After the tomatoes are all chopped, I added the tomato paste, vinegar and cumin. Ready to stir and cook. The large canning pot was almost too big for my stove. 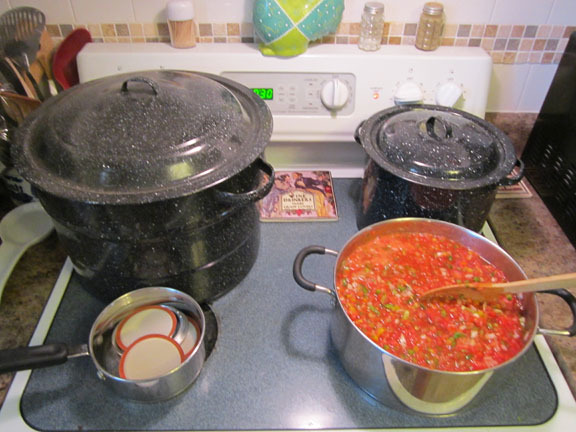 I had two canning pots going, the lids on to heat and the salsa on to cook. One full stove. After the salsa had cooked for half an hour, I ladled it into the prepared jars, placed the lids and rings on the jars and resubmerged them in the hot water. The water in the filled canning pots needs to be brought back to a boil, the temperature lowered and boiled for twenty minutes. After that, CAREFULLY remove the jars from the boiling water. I don’t know what it is about the canning jars and even with using the large tongs specifically made for removing the jars, they seem to wander all over inside the pot. 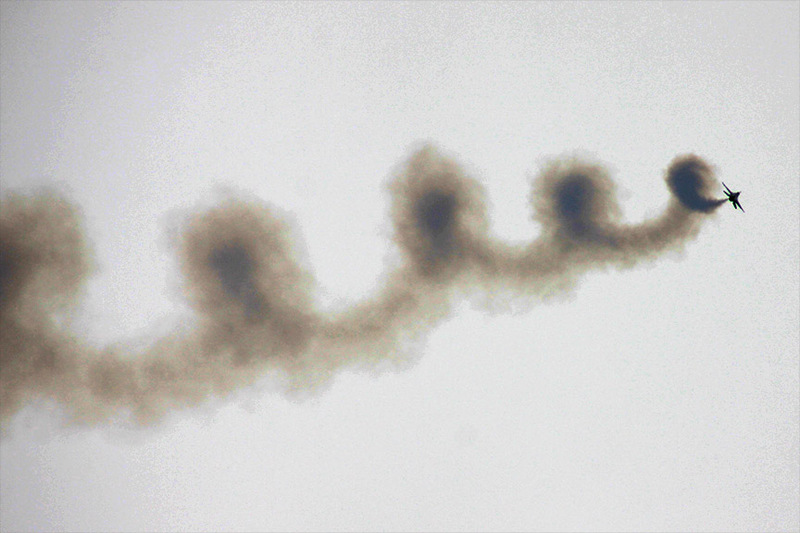 It almost seemed like bobbing for apples. 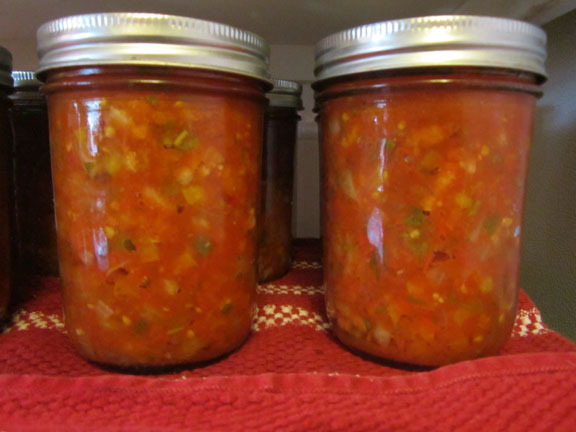 Ten jars of Fresh Vegetable Salsa ready to go.